Bring out the cranberries, muted reds and plums ladies because Fall is here!!! This has certainly been one of my go to looks for fall. If you saw my recent monthly favorites then you saw Mac's Cranberry eyeshadow on the list! If you haven't no problem you can see it here. 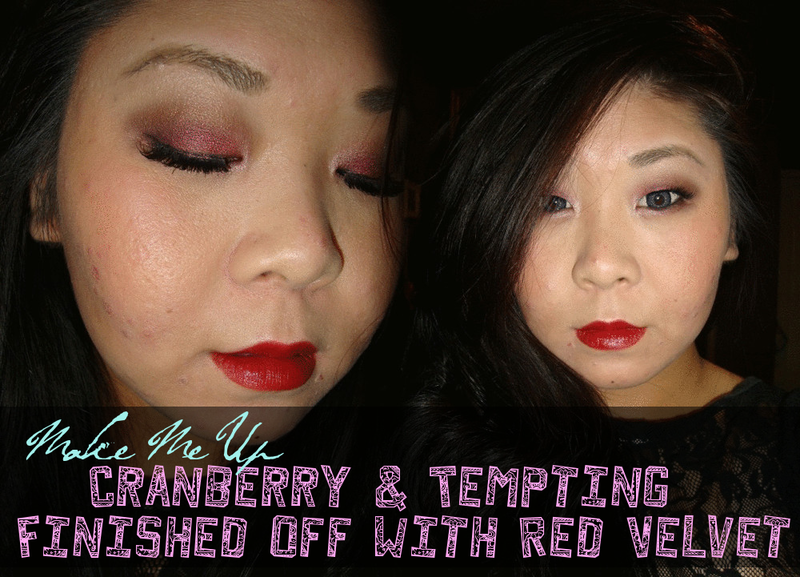 When I'm not using cranberry, I'm using tempting all over the lids. Both colors are must haves for anyone that loves Mac eyeshadows! Planning on wearing this look anytime soon?... say Halloween? Stay tuned for friday because I will be transforming this look into a halloween zombie look. Using the same colors and a little bit of blood!